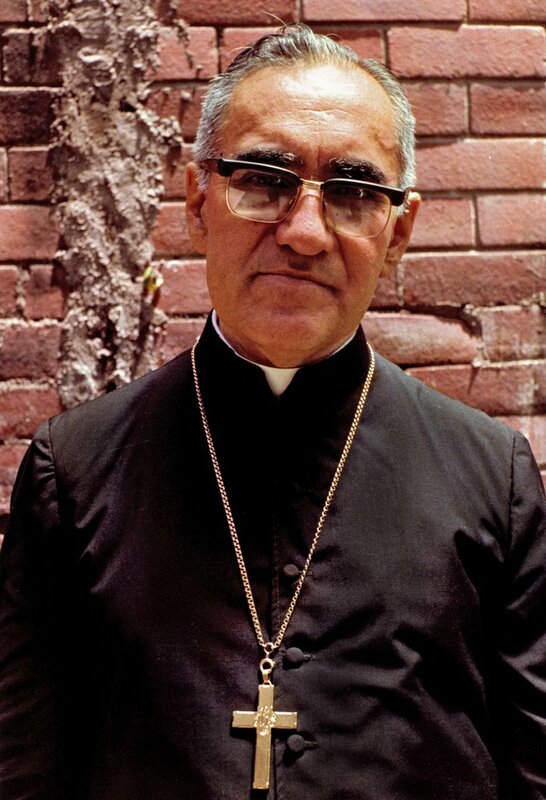 On 24th March 1980 the Archbishop of San Salvador in the central American nation of El Salvador, Monseñor Oscar Romero, was shot dead whilst celebrating Mass. He was martyred because of his outspoken Gospel defence of the poor, and his calling for peace during the civil war then dividing the nation. For millions of Christians, Oscar Romero is an authentic witness to the Good News of God's Reign, and Carmelites are among those who have prayed and worked for his canonisation, which took place on 14th October 2018. To many, Oscar Romero is the patron saint of justice, peace, and the integrity of Creation. A number of Carmelites, both religious and lay, are involved in remembering and propogating the message and legacy of Saint Oscar Romero, and working amongst the poor in El Salvador. He lived his final months alongside the Carmelite Sisters who run a cancer hospice ('Hospitalito Divina Providencia') in San Salvador, and died whilst celebrating Mass in their chapel. He died wearing the Carmelite Brown Scapular, and spoke on various occasions about its deep significance. He visited parishes served by Carmelites, who continue his legacy today. Carmelites in Britain are involved in the Archbishop Romero Trust. Carmelites from Britain and elsewhere have made pilgrimages in memory of Monseñor and other martyrs of El Salvador. Carmelites take part in "Romero Week" (beginning 24th March) each year, organising various commemorations. In 2010 the Carmelite Prior General spoke of Romero's legacy inspiring the Order. Saint Oscar Romero outside the chapel of the Carmelite Sisters at the Hospitalito in San Salvador. Saint Oscar's Carmelite brown scapular, stained with the blood of his martyrdom (now at the University of Central America).